A gift to the La Mirada Symphony is an investment in the potential for the musical arts to create a better world. Becoming a members of the La Mirada Symphony not only assists us in funding the organization, it also makes you part of the experience. 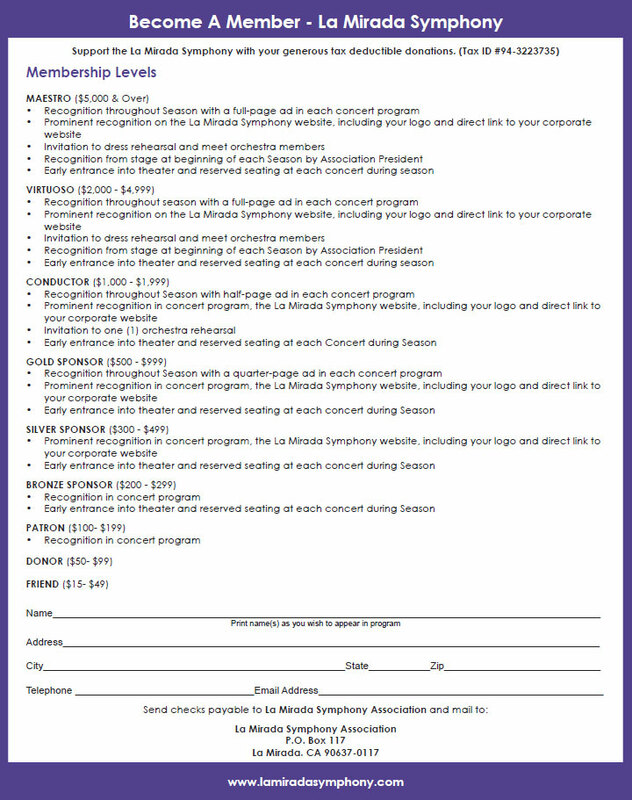 Support the La Mirada Symphony with your generous tax deductible donations and become a member! (Tax ID #94-3223735). The La Mirada Symphony depends on donations from friends like you. Thank you for your support!